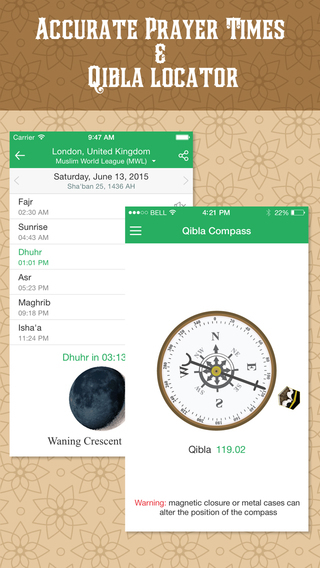 Useful all-in-one app provides you with the most accurate prayer times, the full Quran in beautiful Uthmanic script font, phonetics, translations and audio recitations * Plus many amazing features, including Qibla locator, Hijri calendar, Mosque and Halal Finder. - Translations include English, Bahasa Indonesia, German, Spanish, French, Bahasa Melayu, Italian, Hindi, Malayalam, Dutch, Portuguese, Russian, Tamil, Turkish, Thai, Urdu, Chinese, Japanese. + Hisnul Muslim: Find authentic Duas (supplications) for a Muslim to supplicate on a daily basis and on special occasions. 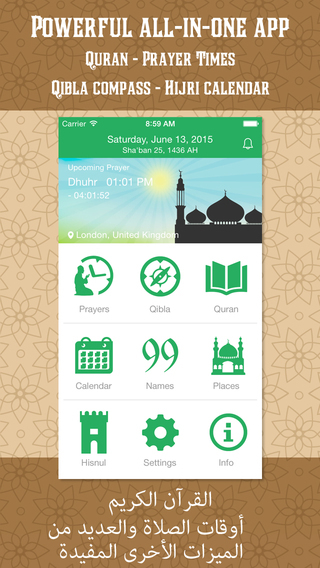 This app has everything that a Muslim needs in their daily life. 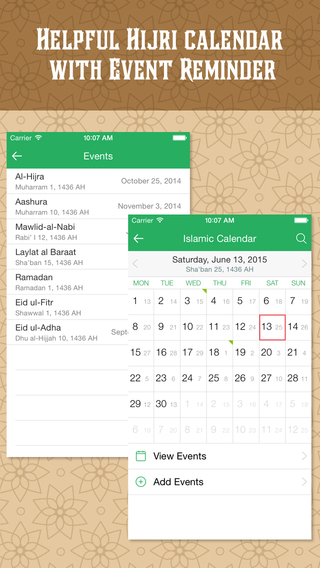 All useful tools in just one app. INSTALL this powerful app NOW!! !